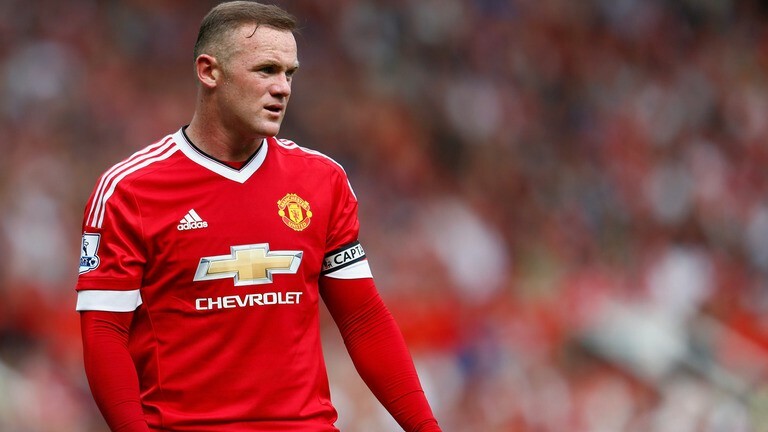 Controversy surrounds Wayne Rooney’s recall for a farewell appearance for England against the United States. However, international farewells and testimonials are not completely unheard of. Whilst Paolo Maldini turned down the opportunity to play for Italy in a friendly against Northern Ireland as he approached retirement and David Beckham famously said he would never retire from England after suggestions England’s November 2010 friendly against France would be his farewell, they have become increasingly popular in recent years. Here we look at 10 high profile examples. A big powerful forward, Quinn retired from football after the end of the 2001–02 season. His farewell game at club level would be against his country, the Republic of Ireland, who he would represent at the World Cup in South Korea and Japan, ending his international career on a then-record 92 caps. The FAI had turned down testimonial requests from Ray Houghton and Jon Aldridge in 1999 due to them not reaching 75 caps. Quinn played for both teams with the Irish running out 3–0 winners, the game generated over £1,000,000 for charities and led to Quinn receiving an honorary MBE. Currently a politician in Brazil, Romario was one of the most lethal forwards of his generation, winning World Player of the Year in 1994 as he led Brazil to their fourth World Cup and enjoyed a fruitful partnership with Hristo Stoichov at Barcelona. Despite forming an immovable object-unstoppable force partnership for Brazil with Ronaldo, Romario was omitted from the 1998 World Cup squad due to injury. He pulled out of the 2001 Copa America, claiming he had to undergo surgery but played friendly games for Vasco da Gama and went on holiday, resulting in his omission from the 2002 World Cup despite public pressure for his conclusion. 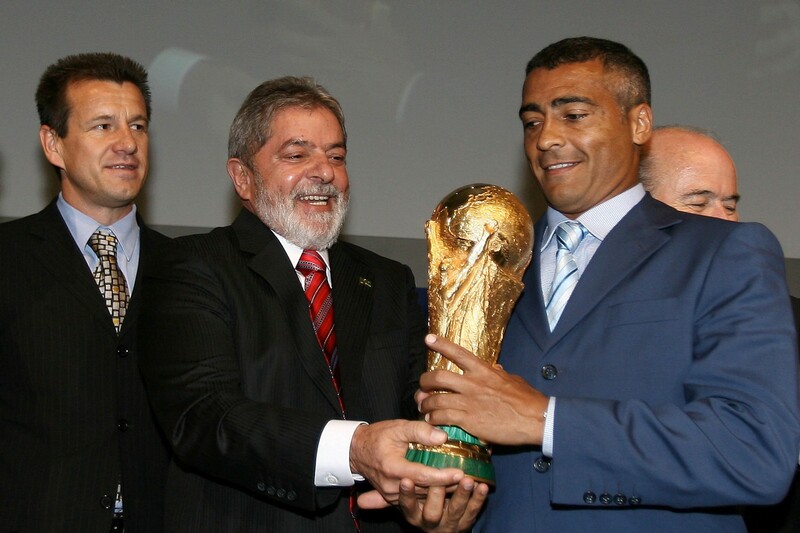 Romario would get his farewell in 2005 when aged 38, he captained the side in a friendly in Sau Paolo against Guatemala. Making his 70th appearance, he hit the side’s second goal in a 3–0 win, his 55th international strike. 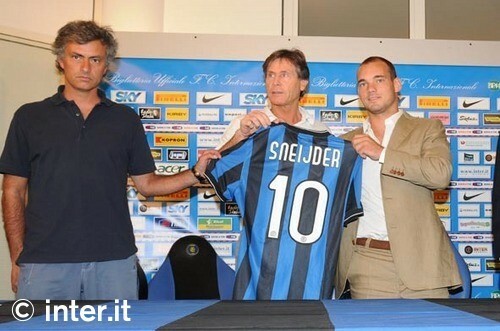 Everyone knows the story about Il Fenomeno. Ronaldo burst on the scene as a teenager in Brazil, exhibited power, strength, speed and technical ability. His goals led Brazil to the 1998 World Cup Final, where a fit on the eve of the game was the beginning of four years of injury hell, that saw him miss the entire 2000–2001 season and most of the two seasons either side of it. He still returned to score eight goals as Brazil won the World Cup for the fifth time in 2002. Four years later, he would score three more goals to make him the record goalscorer at World Cups, later broken by Miroslav Klose. He lost his place in the team after that but following retirement in early 2011 after a spell with Corinthians, he was given a farewell game against Romania. Playing the final 15 minutes of the first half, alongside child prodigy Neymar, Ronaldo had three shots but failed to score. After giving an emotional speech to the crowd, Ronaldo departed professional football for the last time. Fred would score the winner and celebrate with R9’s trademark finger wag. 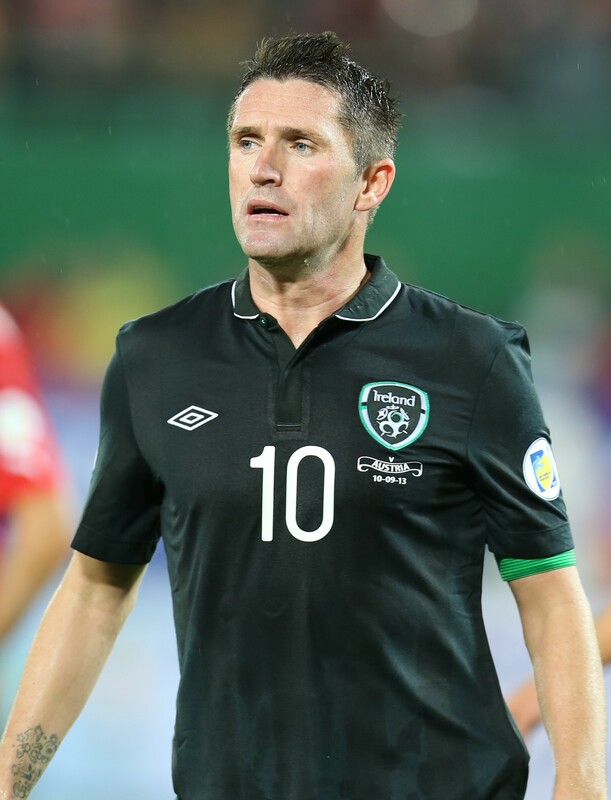 With 68 goals, Robbie Keane is the top international goalscorer from the British Isles. Keane played for Ireland at the World Cup in 2002, where he scored late equalisers against Germany and Spain. Having represented his country at the 2016 European Championships, the then 36-year-old announced his international retirement, though was given a farewell against Oman in Dublin. Keane signed off with a goal and was given a guard of honour by his teammates and a rousing ovation from the crowd. A mainstay in the Germany national side after his debut in 2004, Schweinsteiger played a major role in the revival of Die Mannschaft following Euro 2000 disappointment. 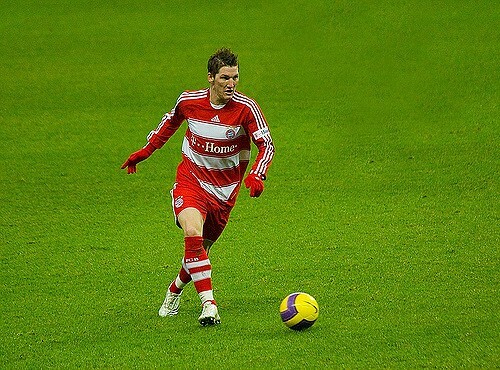 Playing in midfield and on the wing, Schweinsteiger was part of a German side that finished third at the World Cup in both 2006 and 2010 as well as European Championship finalists in 2008 before playing a leading role in World Cup success in 2014, the first as a unified German nation. His fine passing play helped control the game in the final against Argentina. After recovering from an injury to captain Germany in Euro 2016, Schweinsteiger announced his international retirement. He would bid farewell in a 2–0 win over Finland a month later. Playing his 121st game for Germany he was in tears during the national anthem. 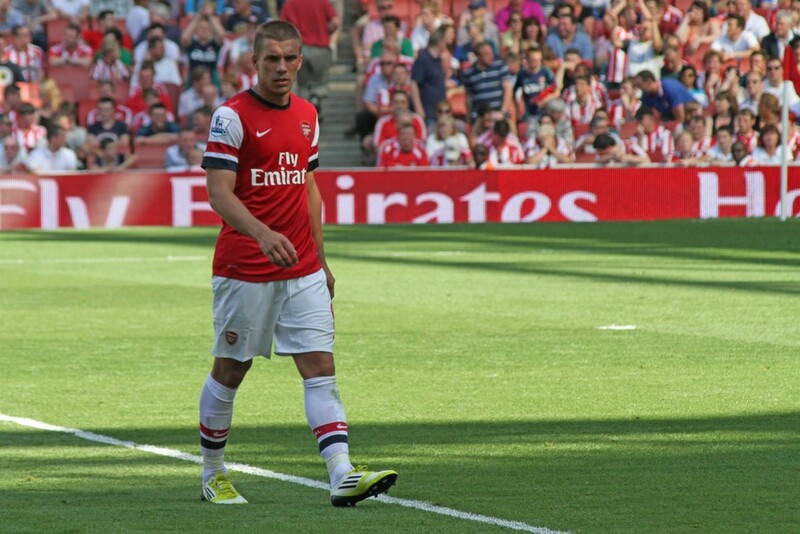 Lukas Podolski was often perceived as being far superior for Germany than any of his club sides. The Polish-born striker would make his debut just before Euro 2004, the first player from the second tier to play for Germany since 1975. He was the youngest player in the squad at the Euros in Portugal. Podolski would score three goals on home soil at the 2006 World Cup, including a double in the opening 12 minutes of the second round victory over Sweden, winning Young Player of the Tournament. He would follow this with three goals at Euro 2008 (including an emotional double against Poland), two in the 2010 World Cup and the solitary strike in Euro 2012, the opener against Denmark in Lviv. Having been used a bit part player in the World Cup in 2014 and 2016 European Championships despite being key in qualification, Podolski retired in August 2016. He was given a farewell against England in March 2017, scoring a wonder strike in Dortmund, his 49th goal on his 130th cap. England fans will remember this game as the first time Gareth Southgate experimented with three at the back. 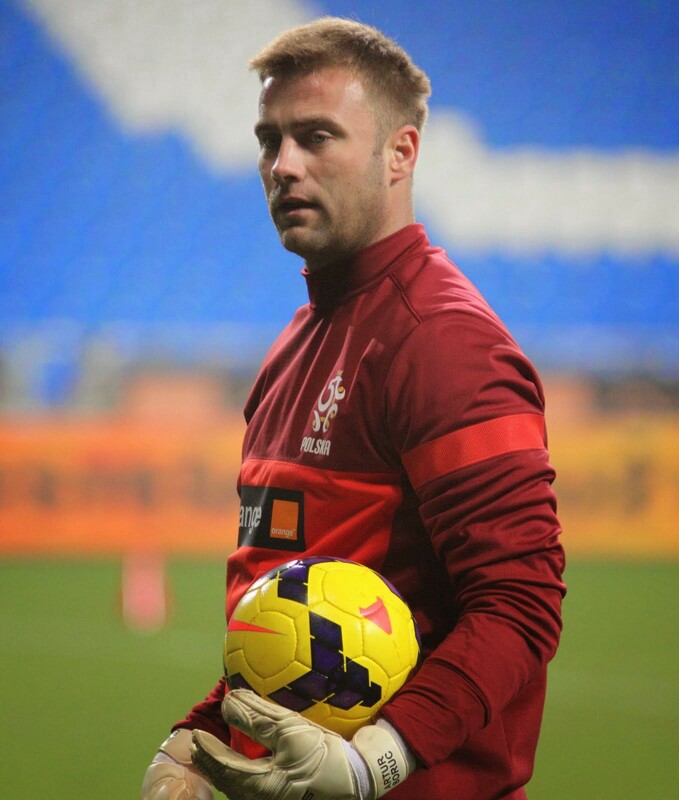 Nicknamed “The Holy Goalie”, Boruc has been a popular figure at every club he has played for. Taking Jerzy Dudek’s place as the first choice, the then Celtic stopper travelled to the 2006 World Cup, gaining praise for his performances, though the Poles exited at the group stage. Afterwards, he had to compete for competition with Tomasz Kuszcack, Lukasz Fabianski and eventually Woijiech Szczesny. He was still in tremedous form at Euro 2008 but off the field issues and form of other Polish goalkeepers meant he did not play for the country for two years until February 2013. In November 2016, he played his 63rd game making him the most capped Polish goalkeeper of all time. In March 2017, aged 37 and wishing to concentrate on his career at Bournemouth, Boruc retired from international duty. He was given a farewell that November against Uruguay in Warsaw, wearing the number 65 (his cap), he was subbed off before half-time for Fabianski to a rousing ovation from teammates and spectators. The most capped Dutch footballer of all time, Sneijder played a leading role in Die Oranje’s run to the 2010 World Cup final, notably giving a scintillating performance in the quarter-final victory over Brazil. Four years later, his late equaliser against Mexico in Fortazela saved the Dutch from a second-round exit. With the Dutch suffering a generational gap in talent, Sneijder continued to play regularly throughout qualification for Euro 2016 and the 2018 World Cup. He retired after failing to qualify for Russia, though this September, the now 34-year-old who plays in Qatar said farewell to the fans against Peru in Amsterdam. Joined by his wife, Yolanthe and his two children, Sneijder was given a kit made up of all those he wore in the famous Orange jersey, which he put on 134 times. 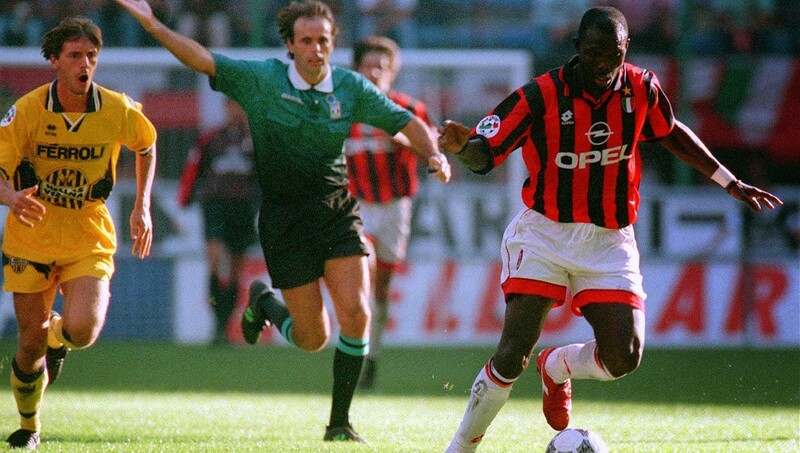 One of the greatest players to never feature in the World Cup, Weah won the 1995 World Player of the Year but was unable to translate club success to international success. Representing Liberia at the African Cup of Nations in 1996 and 2002, Weah failed to get past the group phase. He coached and funded the national team whilst a player and took them to within a point of qualifying for the 2002 World Cup. Weah who was elected President of Liberia in January 2018 become the first head of state to play in an international football match when he was given a special farewell against Nigeria in September. His trademark no.14 was retired after the game, which a strong Nigeria side won 2–1 in Monrovia. Wayne Rooney is not the only international star making his farewell this international break. 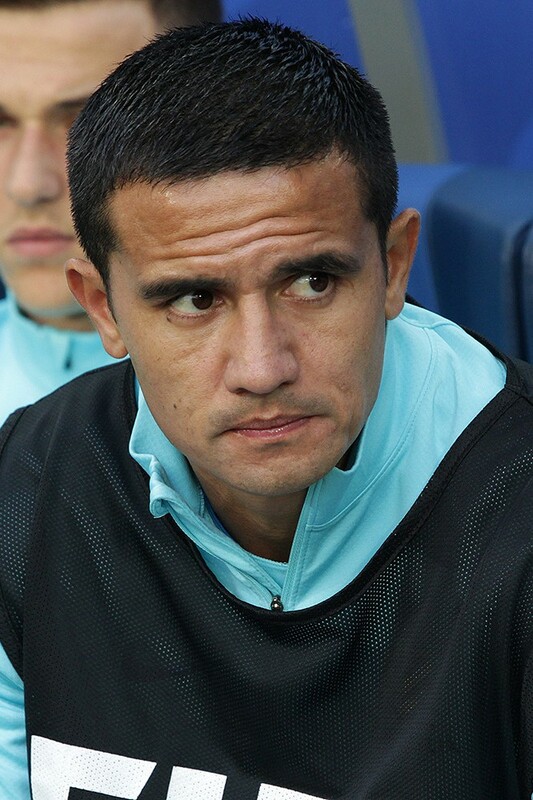 Tim Cahill, with 50 goals in 107 games is Australia’s top goalscorer. He was the first Aussie to score at the World Cup and Asian Cup, and has five World Cups goals across three tournaments. Despite representing Samoa at the 1994 Oceania U-20 Championship at just 14 years of age and receiving an offer to play for Ireland at the 2002 World Cup, Cahill made his international debut for his birth country against South Africa in 2004 at Loftus Road. He would score six times as the Socceroos won the 2004 OFC Nations Cups and represented the side at the Olympics in Athens winning Oceania Player of the Year, before playing a leading role as the side reached a first World Cup in three decades. Cahill would score one of the goals of the tournament in the 2014 World Cup with a rifled volley over Jesper Cillesen in a group match with The Netherlands. For the 2018 World Cup, Cahill’s double against Syria in Sydney allowed them to progress to the final play-off against Honduras at the expense of their opponents. Having re-signed for Millwall to get minutes before the finals in Russia, Cahill made just one substitute appearance and promptly retired from international duty. However, the 20th November friendly with Lebanon at Sydney’s Stadium Australia will be a final farewell appearance for the midfielder.